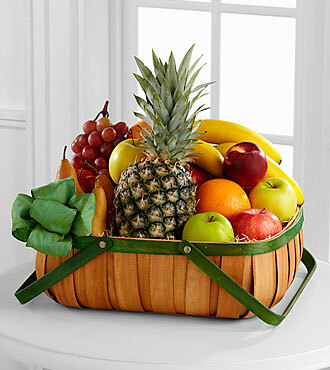 Gift basket is available in different sizes–3 lbs, 5 lbs, or 9 lbs at different price points. 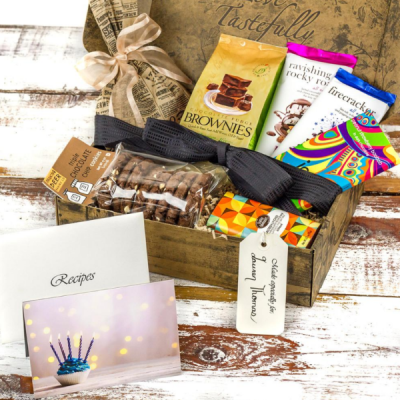 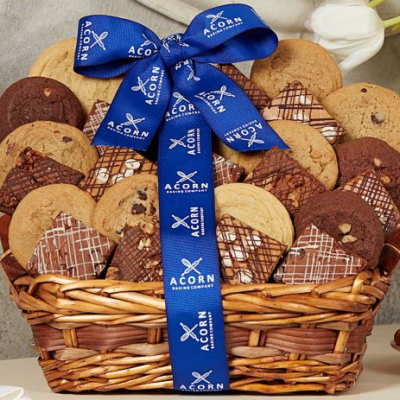 A very sweet and satisfying gift basket for those who enjoy delicious treats. 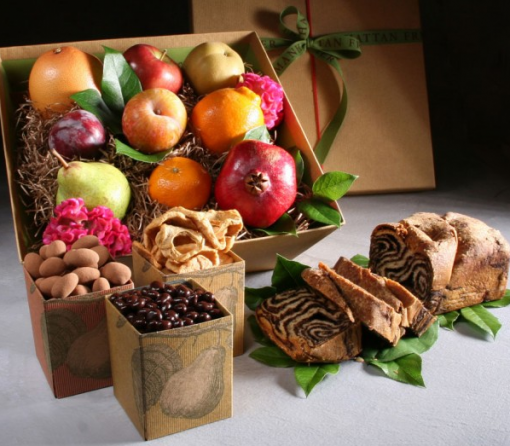 The Kosher Delancey Street Basket includes fresh fruit, Brooklyn baked babka from Lilly’s Bake Shop, Chocolate covered pomegranate seed from Kopper’s Chocolate in Tribeca, Dried Granny Smith Apple Rings from California, and cocoa-dusted chocolate-dipperd almonds from Kopper’s Chocolate in Tribeca.